Few Churches have been more highly blessed in their line of quiet, retiring, but devoted members than Wellgate, Rotherham I. And none could be more pronounced in those respects than Thomas Kirk. Born in a village in the vicinity of Lincoln eighty years ago, he sustained the advantages and disadvantages of the rural childhood of that period. 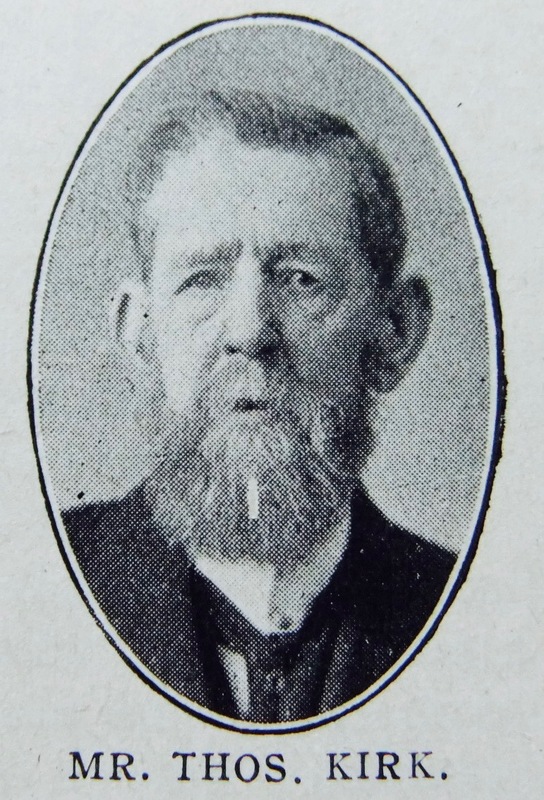 Attracted to railway employment, he migrated to Rotherham well over half a century since, and in a gracious revival during the ministry of the Revs. Jos. Thomasson and Robert Bryant he was converted, and became a member of our Wellgate Society, and continued as such to the morning of his translation. He had not the opportunity of early educational training, but in any capacity where attention, care, and fidelity were required Thomas Kirk would not be a disappointment. He was a man of simple faith, of confident and triumphant trust in Jesus, and has left a name and memory of real fragrance and benediction. Thomas was born abt 1836 at Blankney, Lincolnshire, to parents Richard and Hannah. Richard worked the land. He began his working life as a servant, later becoming a common carrier (1871) and finally worked as a railway porter at Rotherham from 1872. Thomas married Ann Greaves (abt 1847-1929) in the summer of 1869 at Worksop, Nottinghamshire. 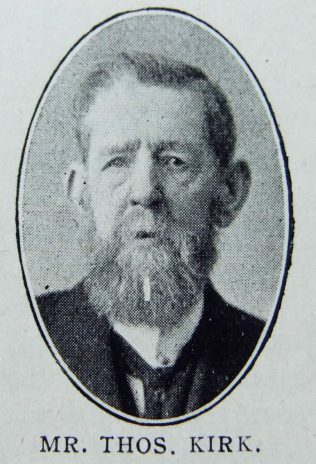 Thomas had his death registered in the third quarter of 1913.